Saving Lives has produced a range of resources for organisations and individuals to use for free to help mark World AIDS Day 2017. 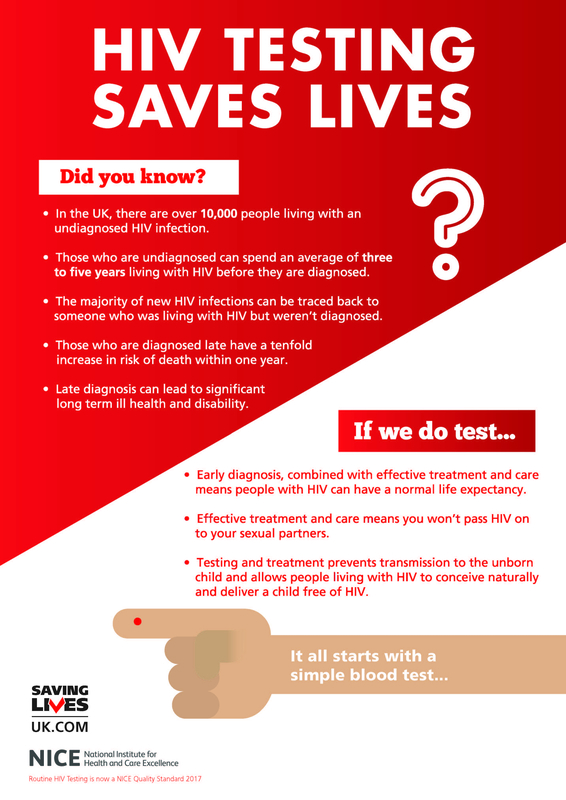 At home in the UK there are approximately 100,000 people living with HIV today – but more than 10,000 of these don’t know that they have the virus. The need for continued testing, as well as investment and innovation in testing should still be a key priority. For those who do test positive, however, the outlook in 2017 is a good one. 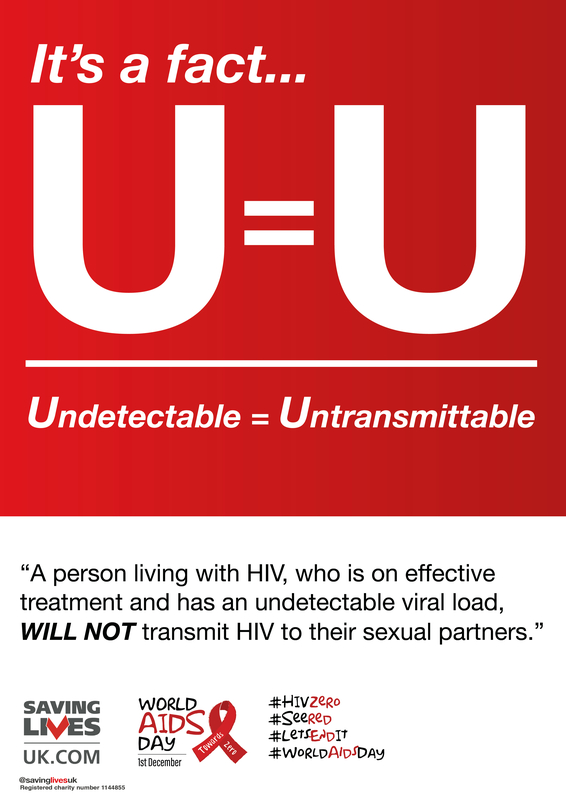 Modern treatments are simple to take, they can enable people living with HIV to live a normal life expectancy and can even stop the virus being transmitted to sexual partners. Unfortunately this isn’t the picture elsewhere in the world. 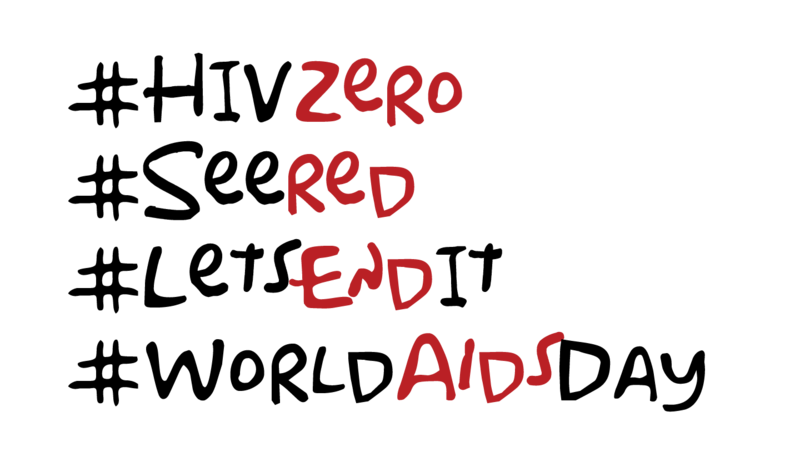 HIV & AIDS remains the single biggest killer of adolescents with nearly half (20.9m) of the 36.7m people living with HIV today still having no access to anti-retroviral treatment. 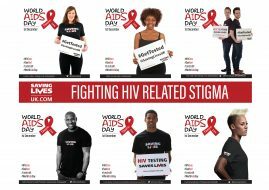 Join Saving Lives, and the British HIV Association, in marking World AIDS Day 2017. 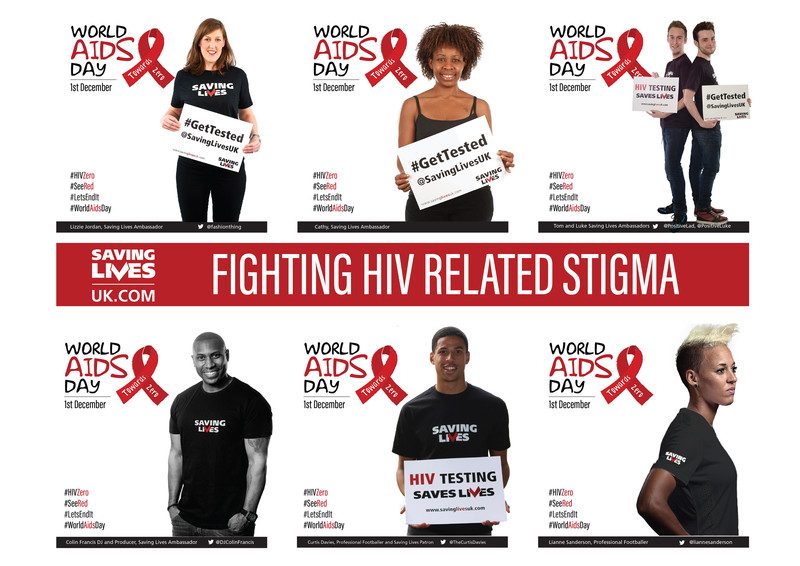 Stand in solidarity with those living with HIV, affected by HIV and working in HIV. 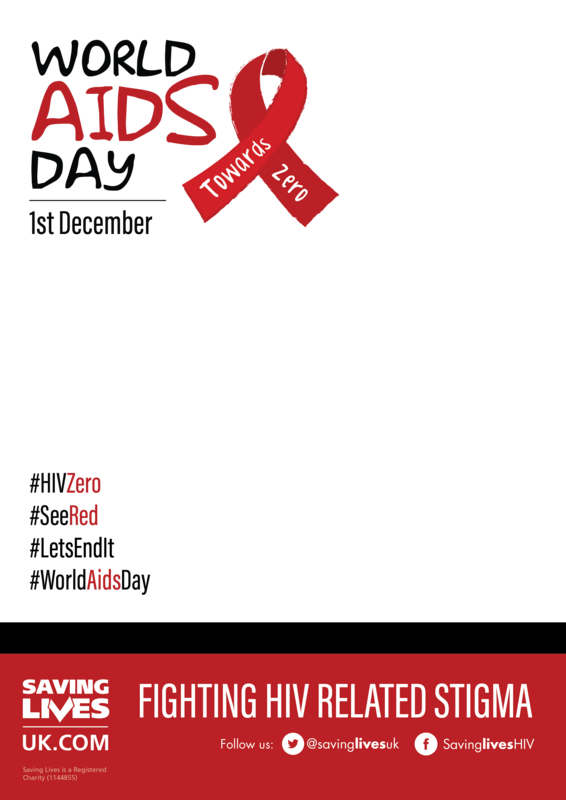 These eye-catching resources have been produced to help organisations and individuals, who may not have their own design staff, promote HIV & AIDS awareness during the run up to the 1st December. If you’d like to create your own posters, using your own photos or graphics you can do so by downloading the following A4 PNG template, and layering it on top of your photo by using photo-editing software such as Photoshop or GIMP. Also provided are the following graphics for use in your own campaign materials. 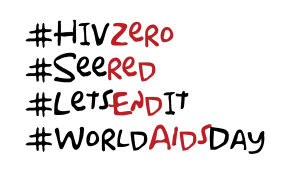 We’ve made use of the iconic AIDS red ribbon, as well as the top hashtags for World AIDS Day 2017 – #WorldAIDSDay, #HIVZero, #SeeRed, #LetsEndIt. If you make use of our materials, and find them useful, please do let us know – and be sure to tag us in any World AIDS Day activity you do! We’re @SavingLivesUK on twitter and @SavingLivesHIV on Facebook.